Journeys — Imagina Consulting, Inc. The Journey Within is the Adventure of a Lifetime. Journeys are designed for individuals on a Spiritual Journey of profound awareness and higher consciousness. Working intimately with the natural and ethereal worlds, you will deepen your understanding of what is true and real, connecting to your truth and the teachings and knowing of the web of life that surrounds us. The experience is strongly encouraged for healers of all levels, students and practitioners of healing modalities. No previous experience required, except an open mind, a knowing there is more and a willingness to release wounds and beliefs that no longer serve you in your Soul’s evolution and that of Humanity. To be of service to humanity is to be connected to, to be one with the Natural World. Journeys are scheduled individually throughout the year. You may overlap with others. Pets warmly embraced. Tell me more about Spain! "My individualized journey with Liza has been a true blessing with so many magical moments! I came with a strong belief that I don't have any childhood memories. I not only remembered but relived my childhood! I now feel like I reconnected to so much power that was missing in my life. I feel more whole and accepting of my light and my dark sides. I also came wanting to shine my light more. And I'm absolutely amazed at how much light I feel in myself now! So I'm ready to shine my light and share it with the world! Thank you Liza! Love you my Fairy God Mother!" "From beginning to end, I felt like I had come home to a special place. The surrounding natural landscape is beautifully restorative. All you hear is the sound of the wind and the birds singing. The workshops brought new clarity to old issues. I found a safe place and healed parts of my soul that needed some mending." "Follow your soul, it knows the way." "I had an amazing time and am replenished in both body and soul. Thank you!" "Do it, it will change your life! The one week journey to the sacred olive farm was the setting for an unforgettable transformation." "If you are being called here, follow the call!" "It is an understatement to say it was life-changing. This is an amazing, amazing, beautiful and nourishing location for this kind of work. You should just bring yourself there and be open to what can happen. If you feel called at all, listen!" "By the end of my experience in Spain, my spirit had been revived. I got to listen and care for different parts of myself and gained inspiration for what my next step in the life would be." This is an awakening experience. An opportunity to truly delve into you. 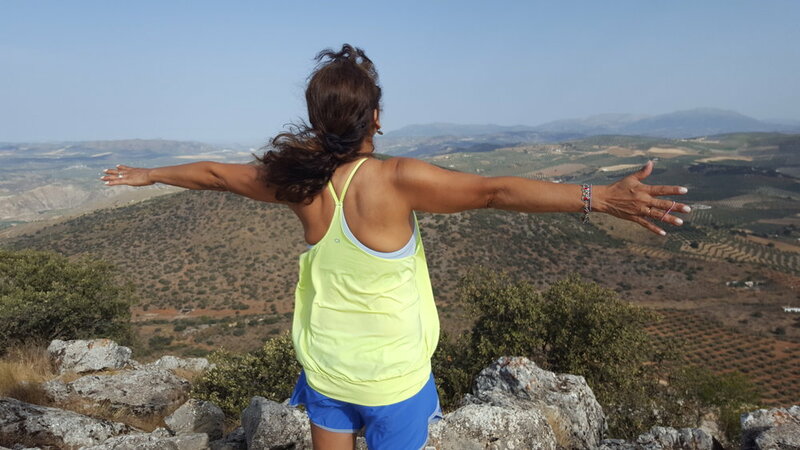 To immerse yourself in the intense healing powers of Southern Spain where the energies from above merge with the energies of the Earth creating profound connection and healing. Let go of that which no longer serves you. Awaken to your true reality, the unimaginable support and guidance within and around you at all times. Become You. Each experience is tailored to your individual growth and needs. Minimum 5 day commitment at the Sanctuary includes room and nourishment. To be in the Community of Spirit is to be one with our natural world. It is to immerse in the appreciation of life, to let go, to stand back and gain perspective of our Journey. The Community is inseparable from Nature, with the spirits of the land, mountains, air, fire and water working in unison to renew your awareness of belonging. Allow yourself to become who you already are! And, to invoke the healing capabilities you already have within. Rediscover you. Find yourself enough to live a complete and healthy life. In the Community of Spirit you will return home to the sense of freedom, the oneness you have long desired. Experiences: Meditations, Energizing Yoga, Explorations with Nature, Mindfulness and Spiritual Awareness, Excursions, Circles, Enlightening Talks, Healing Sessions, Walks/Hikes, and Time for Reflection & Integration. The Irresistible Sacred Journey is the second collaboration between shaman Nicola Fernandes and Imagina. The Irresistible Sacred Journey is a powerful week long intensive immersion in personal development and higher consciousness. The Journey is designed for people who have begun their Journey, but crave depth and higher connection. This remarkable experience includes Seven Steps to Lightness and Clarity, Four Steps to Wholeness, Journeying to Recharge and Align, Wandering Majestic Granada, exploring Magnificent Alhambra, Immersing in Sacromonte Abadia, Succumbing to the Tranquility of an Opulent Arab Hammam, Connecting to the Natural Cycle of Life, the Earth, the Sun, the Moon and Stars, Nurturing your Body with Delicious Home Cooked Meals prepared by a Spanish Chef and Residing in Community with Kindred Spirits in a Peaceful, Tranquil, Beautiful Spanish Casa on a Thriving Olive Farm in Andalusia, Spain.